You Know Ono, a Monkton-based quartet formerly — and amusingly — known as Bible Camp Sleepovers, might just be the next Vermont basement band that makes it big. With their debut EP, Goes to Sweden, the band unveils a sound that — unlike some amateur college outfits — is polished and tight, not scruffy and sprawling. If anything, the five-track EP is understated. You won't hear experimental sounds, but you will likely nod your head and play it again. Like many a budding garage band, You Know Ono are made up of former schoolmates. Willoughby Morse — yes, like the lake — and Erin Cassels-Brown both play guitar and split lead vocals. Tom Shahan pulls double duty on bass and drums, and Grayson Webb contributes additional guitar and bass. The four have been playing Burlington shows since February 2012, frequently at Radio Bean, and also opened for MGMT at the University of Vermont's SpringFest last year. Their debut effort is like a slowed-down outtake of the Strokes' 2001 EP, The Modern Age. It's upbeat but not too fast, bold at times but not too wild. The lyrics are not particularly inventive or thought-provoking, but that's forgivable, given that You Know Ono seem not to be trying to be inventive or provocative. They're simply trying to give a perky voice to the trials and tribulations of youth. Take, for example, "Coast to Coast," a well-executed, speedy ska track. Cassels-Brown muses, "I wanna swim from the coast / cross the ocean back to home / I wanna see my girl and not be so alone. / I wanna see my band. / I miss those basement notes." On the equally fast number "No Tomorrow," Morse sings, "She's got legs like / no tomorrow / no tomorrow/ whoa oh oh / and all the things I wanna say / I think I'll / wait till tomorrow / wait till tomorrow / whoa o / oh." It's no sonnet, but it's still an amped-up lovesick jam fit for moshing. The EP is vocally and instrumentally solid. On the opener, "Don't Let Me Grow Old Without You," Morse emulates Weezer front man Rivers Cuomo's deadpan delivery, sing-talking his repetitive pleas for a relationship to work out. "Skylight Serenade," a soft crooner, demonstrates Webb's restrained guitar skill, and Shahan keeps the bass and drum steady throughout the EP. The quiet closer, "Going to Sweden," is a wistful goodbye letter, bidding adieu to the girl at home in favor of adventures abroad. While those who prefer their indie rock with a side of snark might scoff at Goes to Sweden's peppy neatness, You Know Ono's seamless arrangements and youthful energy will certainly endear them to the college bar crowd. 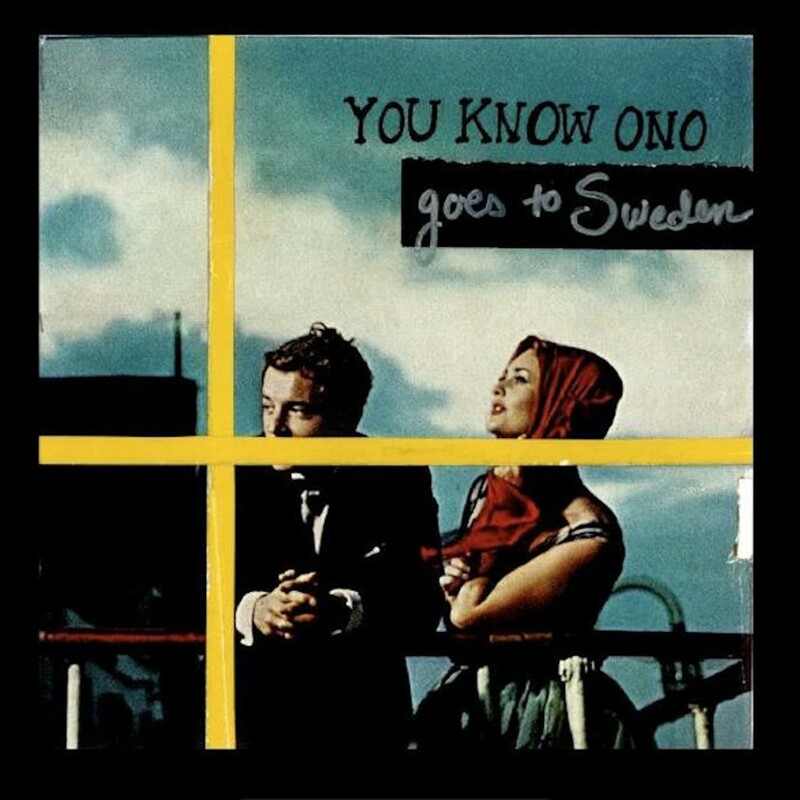 Goes to Sweden by You Know Ono is available at youknowono.bandcamp.com.